You know how I feel about Fridays that slide right into Saturdays! 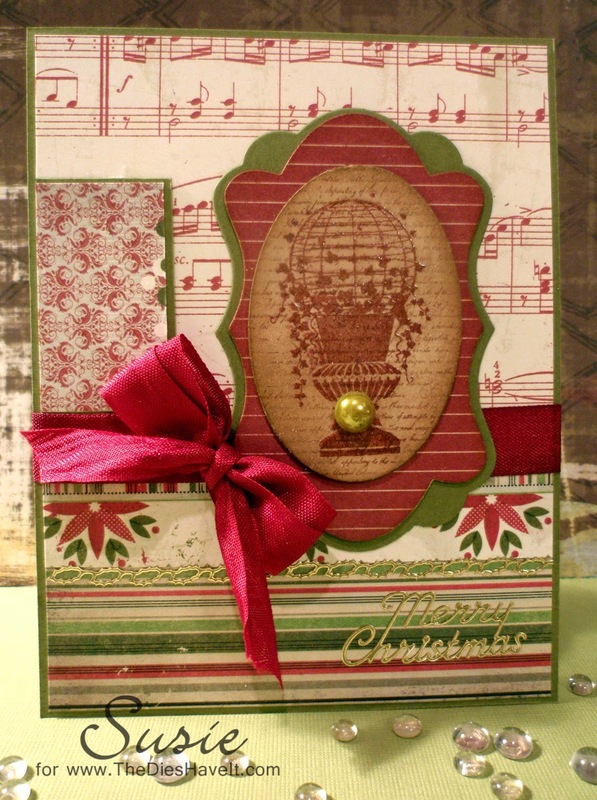 As you can see, I am still loving my long wished for Well Worn Greetings die set from MFT Stamps. I am also loving my French Boutique stamps set from Inspired by Stamping. I stamped this image on some light script patterned paper and then used a copper embossing powder on it. I just loved how it turned out. I used Distress Inks to darken the paper before I adhered it to chipboard and then to the rest of the frames. I layered papers from Authentique and then used a Copic marker to color the seam binding to the exact shade I needed. It started out a bright red - but that would never do! Coloring seam binding is so easy. Just swipe the marker across a few times and you get perfect shade! I hope you find some inspiration in this project. Tomorrow I am going to show you another card made with this exact stamp - but it looks VERY different. I love that stamps are versatile. You''ll see what I mean tomorrow.